It's a warm welcome to our latest newsletter and it's been a lovely week here in terms of the weather with mild temperatures and very little rain - let's hope this continues well into November! At this time of the year the golf course really does look fantastic with some beautiful golden colours in the trees, the fairways look defined and there is the odd bit of mist that rolls across the fairways - here are a couple of great photos of the first hole last week for you to enjoy. - This is the winter jacket you need! - Have you booked on our Titleist fitting day? Conditions couldn't have been better for the second round of our Winter League on Saturday and this was shown in some very decent scores again, the winners were the dangerous pairing of Jonno Ness and Stuart Gray who have the potential to score lots of points and they did this on Saturday with a 25 point haul including birdies on the first and fourth holes. In second place were Captain Paul Underwood and son Kieran Underwood with 24 points, they had a crucial birdie on the ninth hole to mean that they took second place on a countback and in third place were the ever consistent pair of Julie Daines and James Eaton also on 24 points. As an illustration of the quality of the scoring at the weekend - the pair that scored 20 points only finished in 14th place so it really is a tough school this winter! It's not long now until our Presentation Night on Friday 11th November at 7pm, on the night we will be presenting all the prizes and trophies from the summer season along with a 3 course meal and a late bar with a disco. Tickets are good value at just £20 each and available in the bar, it's always a good night even if you haven't won a prize and members are more than welcome to bring guests along - please try to get your tickets in advance so we have a good idea of numbers. If you would like to reserve tickets for the presentation night please contact me here. You may have noticed that Rory McIlroy has recently started using a new TaylorMade M2 driver and fairway woods, reportedly he has picked up an extra 6mph in ball speed with his new driver and he seemed to be hitting the ball further and straighter than ever in his joint fourth place finish at the World Championship event in China last week. The TaylorMade M2 woods have been amongst our best sellers this year and luckily for you lot we have a deal on at the moment, we have some ex-demo drivers at just £179 and ex-demo fairway woods at just £109 in various shafts and lofts and in mens and ladies, we only have a limited number though so you need to be quick, here's member Antony Green who has already snapped one of the bargain drivers up and he was really happy as he was hitting it for miles on the range! 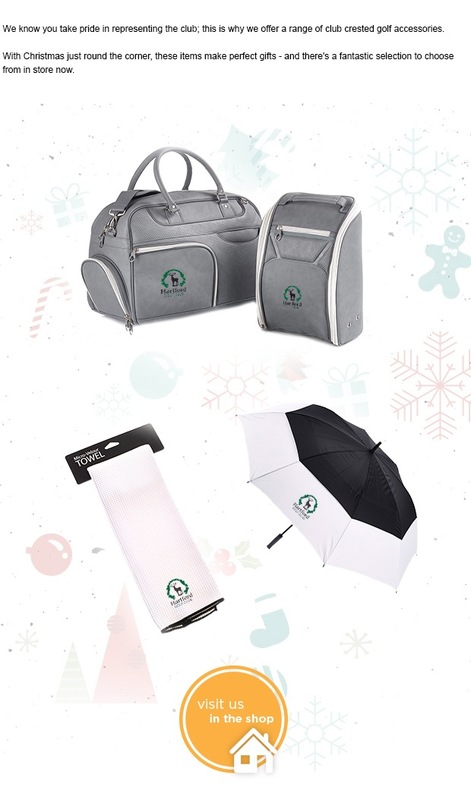 Although the weather isn't too cold at the moment this won't last forever so now is the time to make sure that you have the right clothing to get you through your winter golfing! 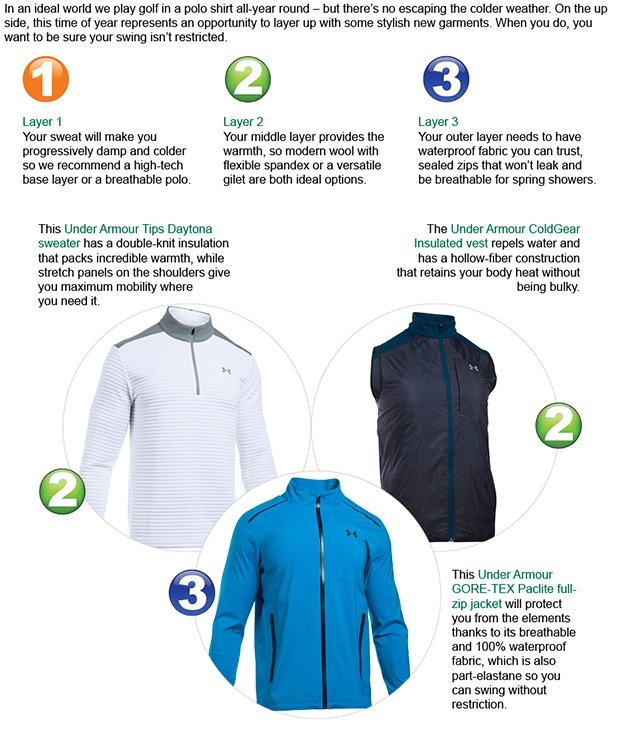 The new Adidas collection is based around their ClimaHeat technology and you will have seen Jason Day wearing their marquee winter piece - the ClimaHeat Prime Jacket at this year's Open Championship so if it's good for the world number one it's good enough for us! The thing we like about this jacket is that not only does it keep you warm but it looks very stylish so you could wear it both on and off the golf course and the fit is superb. The prima loft padding inside the quilted jacket is used in mountaineering clothing and it means that although the jacket is light it provides incredible warmth, the elastic binding on the cuffs and bottom hem are a nice touch to make sure you get the right fit and there isn't any excess material restricting your swing. This jacket has already been a popular item in the shop, at just £79.99 we believe it to be great value for money as it's an ideal modern winter jacket and it's the kind of item that you could wear to go down to the pub in or to watch a football match as well as wearing it for a round of golf, get one on your Christmas list now before we sell them all! Definitely the hottest driver on the market at the moment is the 917 series from Titleist - it's there most forgiving driver yet and having carried out a number of fittings we have seen golfers pick up ball speed and some serious distance gains as well as a straighter ball flight with this new bit of kit. 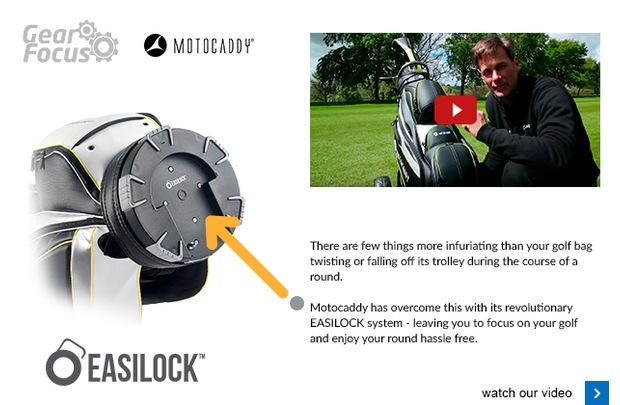 Have a look again at the short video review our professional Adrian Hill did on the new 917. Now that you have seen how well they perform you can book a FREE fitting for a 917 driver or fairway wood on our fitting night on Monday 7th November, you will receive expert advice and we can make sure that you get set up with the right club to give you distance and accuracy, there are slots left at 2.30pm, 3pm, 3.30pm and 5pm and there is no obligation to buy - although there will be some very special offers on the night!! It was the A-Team that won the first ladies Greensomes of the Winter last Thursday as Ann Rowland paired up with lady Captain Audrey Kettle to win with a score of 70.2, the highlight of their round was a fine birdie on the fifth hole. In second place were Alaine Britton and Margaret Cherry with a score of 73.6, this week the ladies are playing a fun 3 clubs and a putter challenge and you just turn up if you want to play before the first tee-time of 9:24am. Alan Nevin seems to be getting a mention every week in this newsletter! After winning the seniors singles and pairs knockouts recently his inspired form continued as the Seniors played an 18 hole Stableford, Alan had an unfortunate blob on the first hole but after that he could do no wrong and 2 birdies and 11 pars added up to a 44 point winning total, Alan's handicap is now 12 and the Handicap Secretary will surely be keeping a close eye on him! Graham Bower is another form player at the moment and he returned a 41 point total for runner up position, in third place was Alan Clifford with 40 points. This week the seniors are also playing a 3 clubs and a putter challenge and we'll bring you the results next week.